will be shooting scenes for a sequel in Dubai. For hundreds of thousands of fans, the news is a dream come true, as they anxiously await the next adventure. 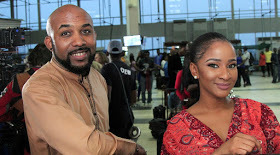 And, with the recent engagement of Banky W and Adesua Etomi, who got married as Dozieand Dunni in the original film, the anticipation has reached fever pitch on social media. The Wedding Party 2: Destination Dubai brings us up to date with the newly-married couple who are now expecting a baby. 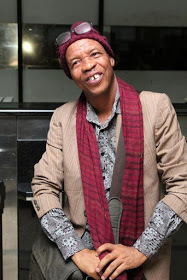 Is reformed bachelor Dozie ready for this? given up ‘Small Chops’ for good? Everyone’s favourite character, ‘Tin-Tin’, is up to her usual hilarious antics, while being indulged by her beloved ‘Bam-Bam’. why are they all in Dubai? The fun and intrigue play out against the backdrop of Dubai’s most jaw-dropping locations and the characters get to sample the Nigerian visitor’s favourite pastime – shopping. Even for movie fans who have visited before, it promises to be a revelation of Dubai’s best attractions and most elegant hotels, including Atlantis, Armani, Palazzo Versace and the Ghaya Grand. The film is also supported by Diageo and its premium brands. Mo Abudu, Executive Producer for EbonyLife Films, is delighted to be in Dubai for the shoot. “Ever since Dubai Tourism partnered with us on the Grand Premiere of The Wedding Party, it’s been my dream to bring the sequel here. We weren’t sure if it was going to be possible, but the amazing success of the movie made it more likely and Dubai Tourism came through for us, along with Tour Brokers International and Wontra Travel. 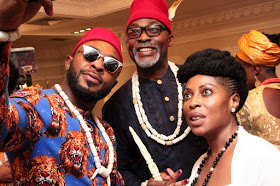 In an all-out attempt to broaden the appeal of this much-anticipated sequel, the producers, The ELFIKE Collective, have added a number of popular Nollywood stars and personalities, including Patience Ozokwo aka Mama G, Chigul, Seyi Law and Elenu, and international cast members. With scenes shot in Lagos, London and Dubai, the film promises to be a visual feast. The Wedding Party 2: Destination Dubai will wrap in late May and go into post-production in time for film festival season. The Wedding Party 2: Destination Dubai will have its Lagos premiere on December 10, with cinema release in time for the Christmas holidays.